Chinese digital media company Focus Media Holding Limited announced its unaudited financial results for the third quarter ended September 30, 2009, and stated that its revenue and profit both dropped during the quarter that saw much restructuring. Total net revenue for third quarter 2009 was USD166.6 million, declining 3% from USD171.3 million for the second quarter of 2009 and declining 26% from USD224.8 million for the third quarter of 2008. Net loss attributable to shareholders was USD127.6 million or a loss of USD0.99 per fully diluted ADS, compared to net loss attributable to shareholders of USD23 million for the second quarter of 2009. Non-GAAP net income for the third quarter of 2009 was USD7.9 million, compared to non-GAAP net income of USD28.2 million for the second quarter of 2009 and non-GAAP net income of USD71.4 million for the third quarter of 2008. Advertising net revenue from the LCD display network was USD56.0 million for the third quarter of 2009, a slight increase of 4% from USD54.3 million for the second quarter of 2009 but a 32% decline from USD73.7 million for the third quarter of 2008. Advertising net revenue from the poster frame network was USD22.1 million for the third quarter of 2009, declining from USD26.5 million for the second quarter of 2009 and from USD44.0 million for the third quarter of 2008 by 17% and 50%, respectively. Advertising net revenue from the in-store network was USD7.6 million for the third quarter of 2009, a 16% decline from USD9.0 million for the second quarter of 2009 and a slight increase of 7% from USD7.1 million for the third quarter of 2008. Advertising net revenue from the movie theater and outdoor traditional billboard network was USD12.5 million in the third quarter of 2009, representing a decrease of 15.4% from USD14.8 million for the second quarter of 2009 and a 36.3% decrease from USD19.6 million for the third quarter of 2008. 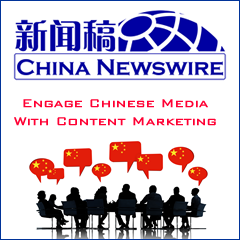 Internet advertising service net revenue was USD68.3 million in the third quarter of 2009, compared to USD66.7 million for the second quarter of 2009 and USD70.8 million for the third quarter of 2008. On September 28, 2009, Focus Media and Sina Corporation, the owner of Chinese Internet portal Sina.com, jointly reached a decision not to extend the deadline of the agreement announced on December 22, 2008, to sell substantially all of the assets of Focus Media's digital out-of-home advertising networks, including the LCD display network, poster frame network and certain in-store network. In August 2009, Focus Media also started to negotiate with the ex-shareholders of various subsidiaries within the Internet division to sell back part of the equity interests held by the company in those entities in exchange for the reduction of future earn-out payments. Some of these partial equity disposal transactions were closed towards the end of August.